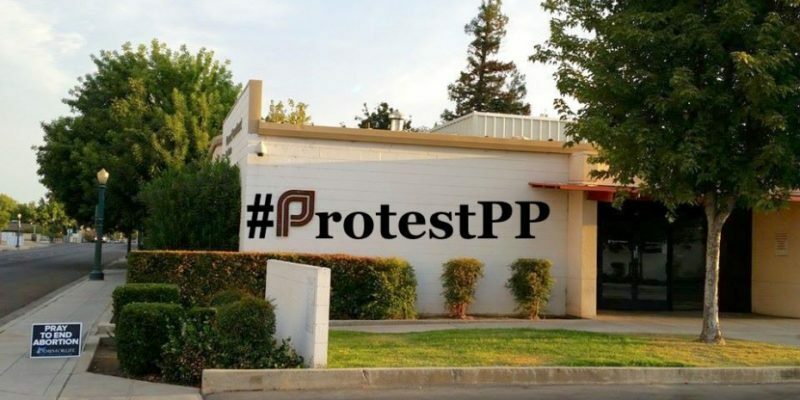 Right to Life of Central California condemns Planned Parenthood for new revelations of potential cover-ups of infanticide, and condemns the state of California for its politically-motivated prosecutions against the Center for Medical Progress. FRESNO, CA, March 29, 2017 – Yesterday, California prosecutors filed 15 felony charges against David Daleiden and Sandra Merritt from the Center for Medical Progress (“CMP”). In the summer of 2015, their undercover videos of Planned Parenthood officials revealed shocking evidence of yet another horrific aspect of the abortion industry: that abortion clinics and middle-men sellers were engaged in the sale of unborn children’s body parts for profit. CMP’s work has led to Congressional investigations and referrals for prosecution, as well as prosecutions in a number of counties in California and around the country. affiliated entities. California’s current AG, Xavier Becerra, is also radically pro-choice, and has received campaign donations from Planned Parenthood for several of his campaigns for the House of Representatives. It is clear that these charges are aimed to silence whistleblowers who are exposing the wrongful activity of a powerful political interest. Beyond their political motivation, the charges (of recording private conversations, and conspiracy to do so) are flimsy. The conversations were indeed recorded without both parties’ consent, but they were not confidential conversations protected by law. Rather, they took place in public places, like a convention or a restaurant, with other parties present and able to overhear. Today, CMP released another video of an undercover conversation with Dr. DeShawn Taylor, a longtime abortion provider at Planned Parenthood Los Angeles and former Medical Director of Planned Parenthood of Arizona. Dr. Taylor was recorded saying, “In Arizona, if the fetus comes out with any signs of life, we’re supposed to transport it. To the hospital.” When one investigator then asks, “Is there any standard procedure for verifying signs of of life?” Dr. Taylor replies, “Well, the thing is, I mean the key is, you need to pay attention to who’s in the room, right?” The clear implication is that born-alive children are being killed, or left to die. News outlets should visit CMP’s Youtube channel to see both edited and full, unedited videos at https://www.youtube.com/channel/UCXSI8qkDPz1CZj1u9I8Wbcg. Right to Life of Central California believes that all human life is sacred and worthy of protection under law, from conception until natural death. We believe our taxpayer dollars should not fund abortion, and should not fund abortion providers like Planned Parenthood. We urge Congress to work swiftly to defund Planned Parenthood, and to enact legal protections for all unborn children.